Following the completion of the strategic planning studies for a thermal resort village in Bolu, a hotel in Antalya, a shopping mall in Sterlitamak and a residential scheme in Ufa-Russian Federation, our sister company has recently signed an MoU with a leading French Consulting Company, EGIS International, in order to collaborate with them in Urban Transformation Projects in Turkey. 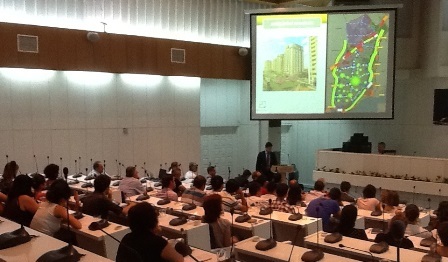 Maltepe, Tekirdag, Izmir, Gaziantep, Adana were the focused cities. RED consultants, together with their colleagues from EGIS and their visiting experts from France, Romania and India, have shared their experience and knowledge with their counterparts in Gaziantep, İzmir and Tekirdag Municipalities and the Ministy of Urbanization and Environments.